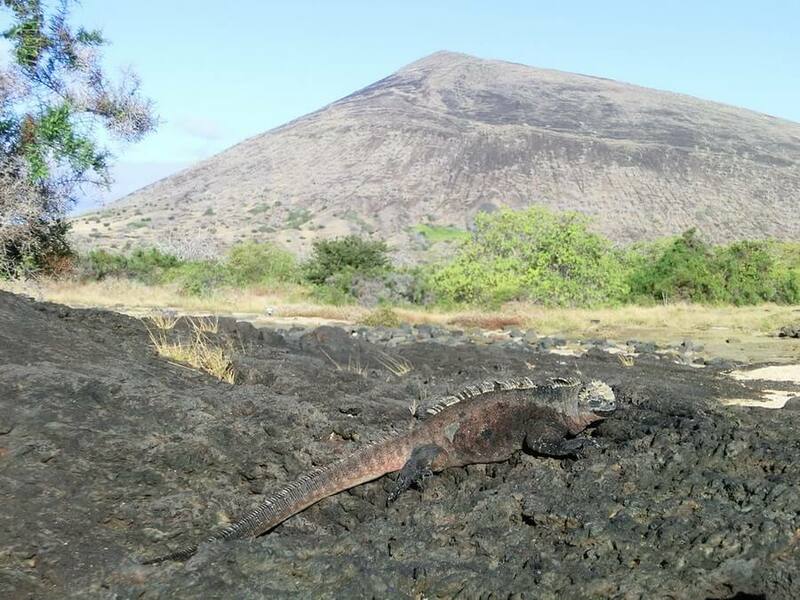 Travel to Ecuador and find out for yourself how evolution developed on the Galapagos Islands and how Charles Darwin used this information as a base for his famous ‘Evolution Theory’. However the Islands are relatively close, they had no contact with each other before men came. 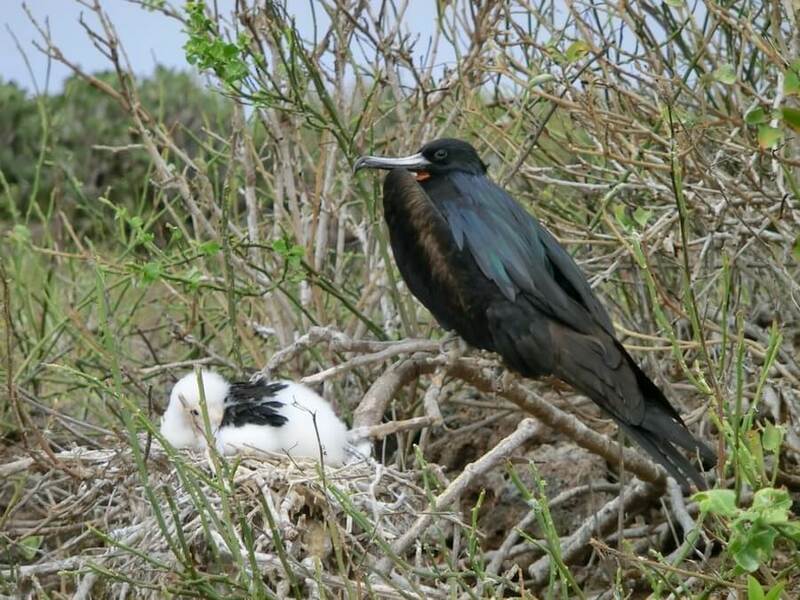 This made it possible that each island developed independently its own plant and bird species. 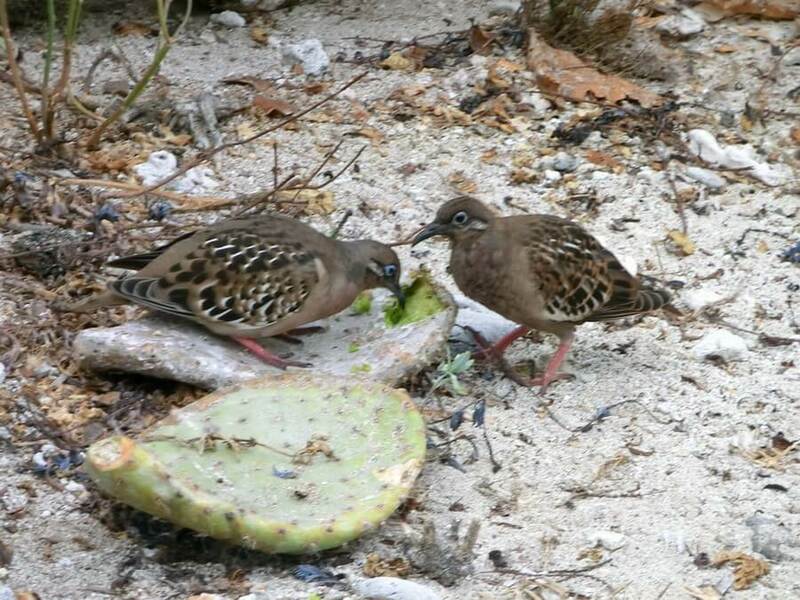 They are similar, but with significant differences, adopted to the circumstances on each of the islands and very interesting to discover. 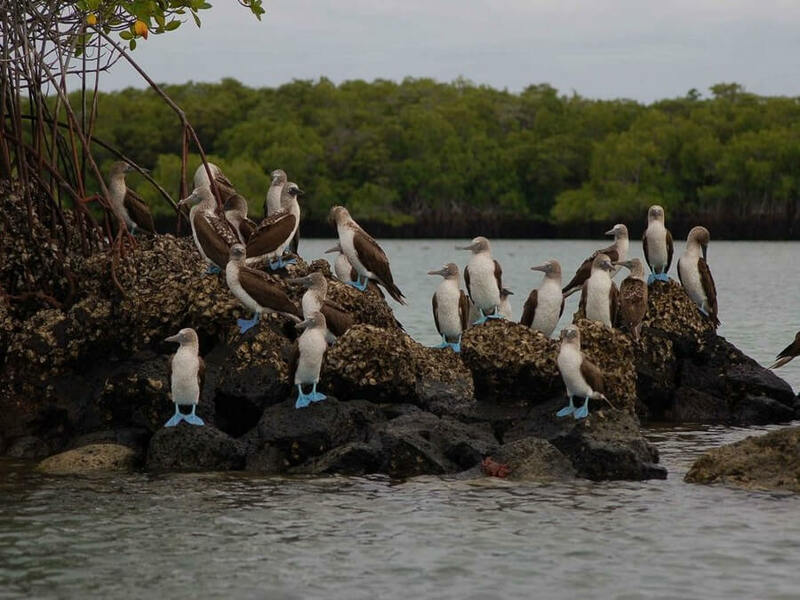 During this tour we visit the islands and waters around San Cristobal, Floreana, Isabela, Santa Cruz, Bartolome and Semour to enjoy their beautiful and unique nature. 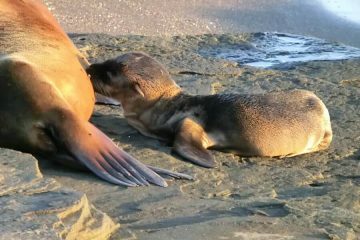 Of course we will also have plenty of time to meet with their tame and curious inhabitants, including many sea lions, bird species, tortoises, iguanas, penguins, sharks and many more, a beautiful experience! Flight to San Cristóbal. Transfer to hotel and lunch. 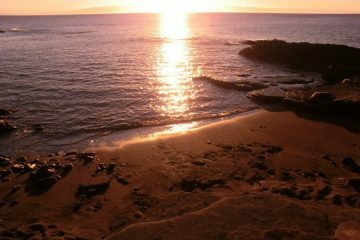 In the afternoon we will visit Loberia Beach and Cliff; this hike is not long, but a bit difficult as you have to walk on lava rocks for a part of it. 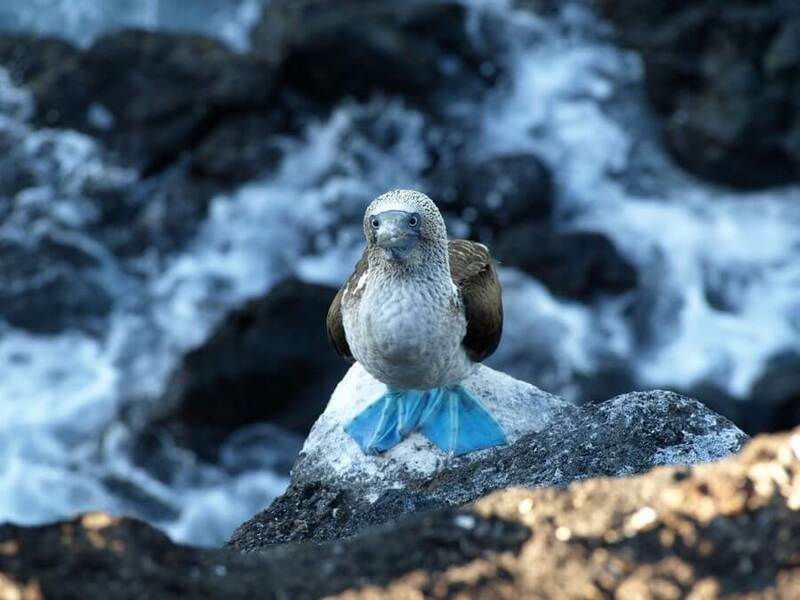 But is is really worth it as on the way we can spot huge marine iguanas and near the Cliff swallow tailed gulls, blue footed and Nazca boobies, frigate birds. 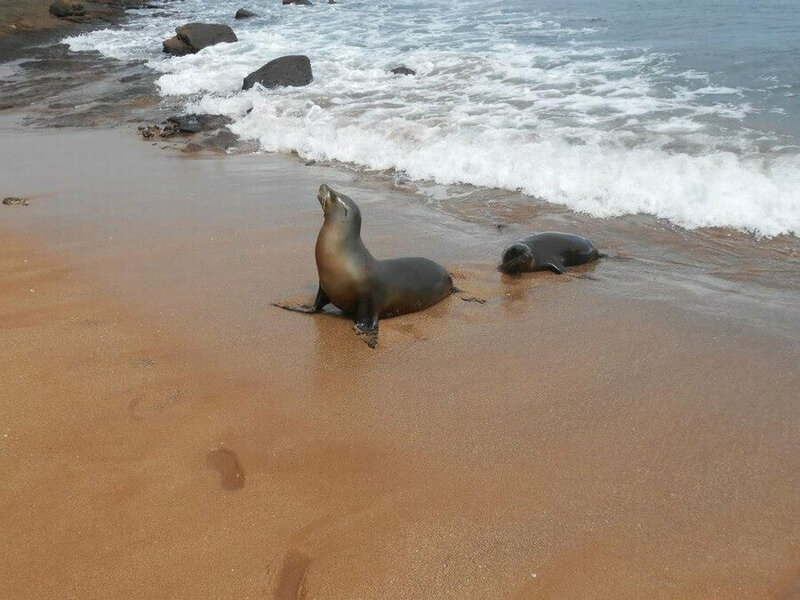 Back to the beach for a snorkel session: usually there we can spot turtles and all sorts of tropical fishes, and of course the funny sea lions! Departure in the morning for a great snorkel at Lobos Island first: we can swim with sea lions and spot iguanas, turtles.. (hike no possible on this alternative) and then on to Kicker Rock aka Leon Dormido: a great snorkel site very famous because we can spot there rays, reef sharks, and if lucky, hammerhead sharks! Back on board we will reach a nearby beach, we’ll have lunch on board and then relax time before we navigate back to port. Free afternoon. Early breakfast at 6.00 a.m. and depart at 7.00 a.m. in the morning to Floreana Island (navigation time 2h30). 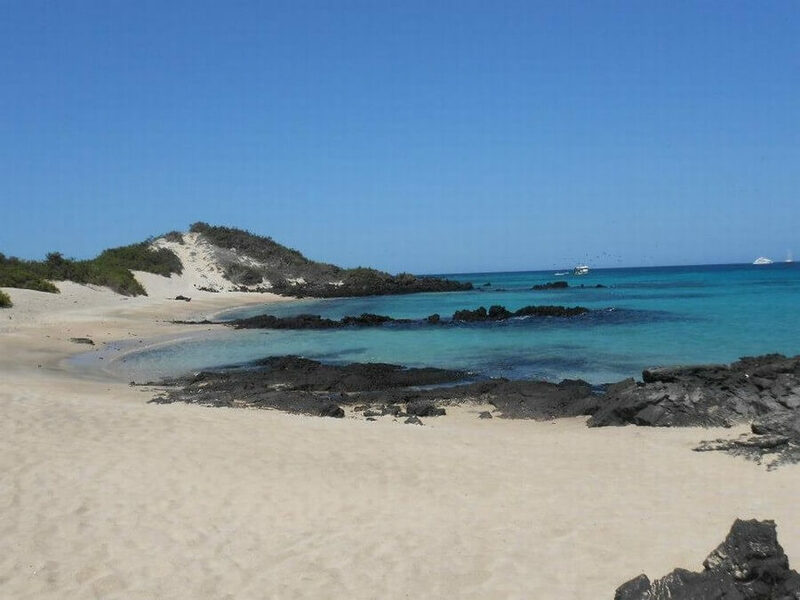 At arrival, we will snorkel at Loberia beach and then visit the highlands, a place called “Peace Asylum” where the first colons of the islands settled. The guide will tell you about their history. 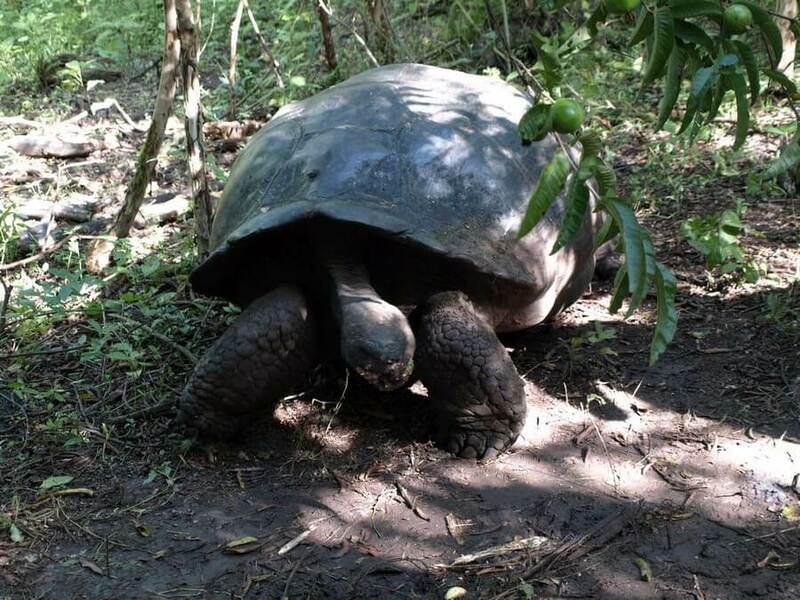 We will also spot Galapagos giant tortoises on the way. Lunch will be served in the small village of Velasco Ibarra. Afterwards we continue to Isabela Island (navigation time 1h30). 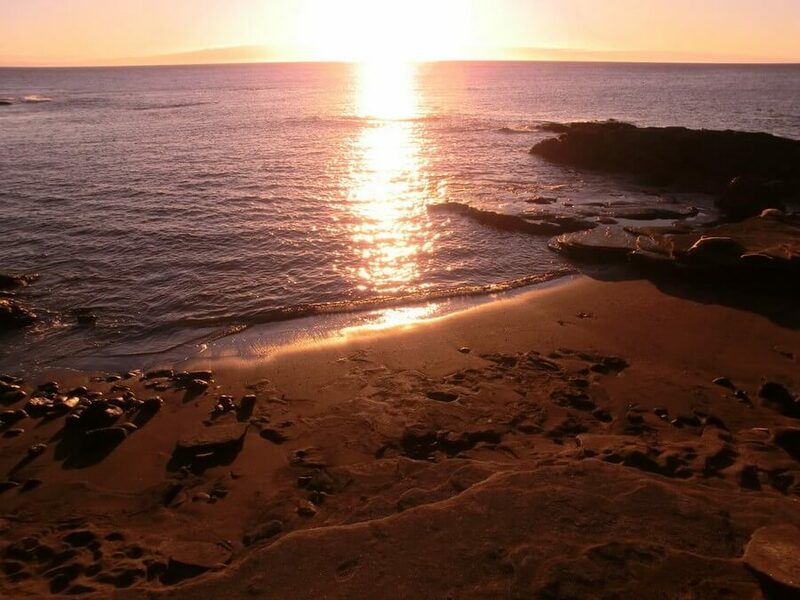 Isabela is a beautiful island with its port located near a clear bay and a long white sandy beach. 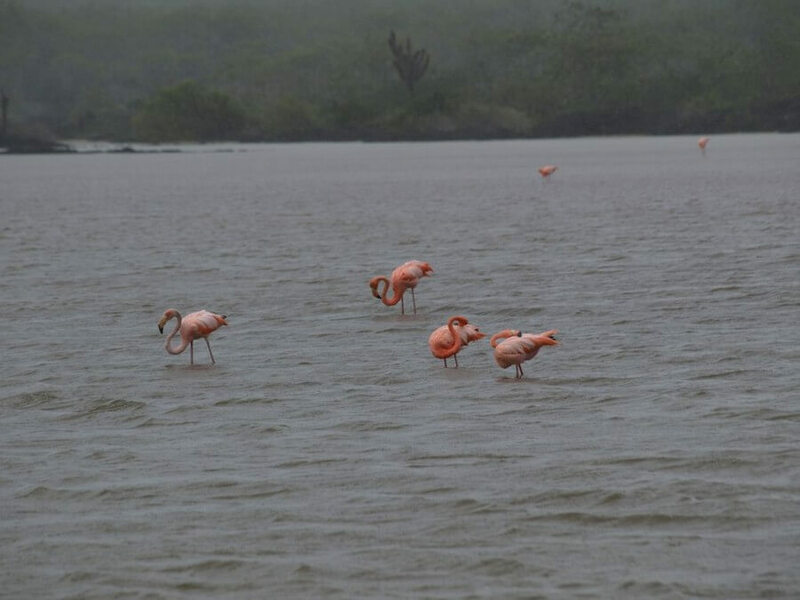 At arrival the bus will pick us up and we will reach the flamingo lagoon to spot these beautiful animals at sunset. 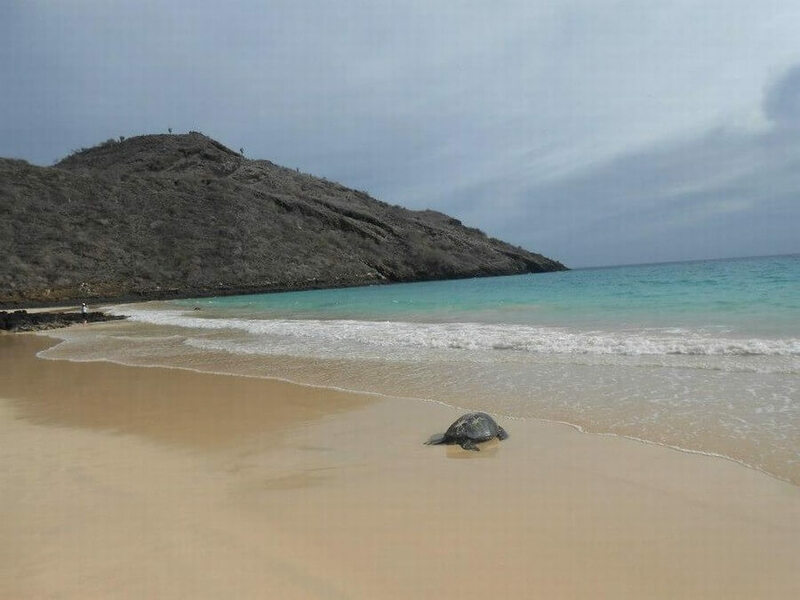 Isabela is the biggest island but only a small part of it can be visited, the rest is entirely protected by the National Park and visits are forbidden. 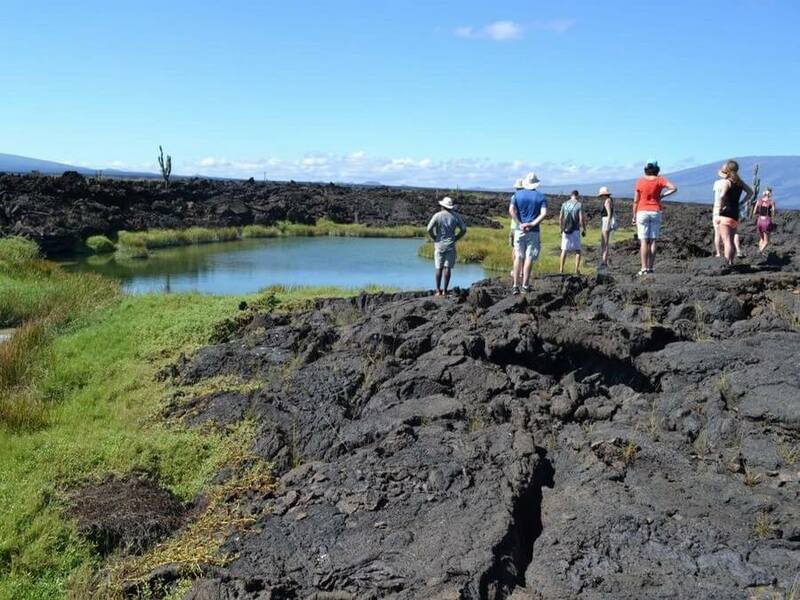 Volcano Hike: Early in the morning we will travel by bus to the highlands: we will begin a trekking of 6 hours to the Sierra Negra and Chico volcanoes. Sierra Negra has the second largest crater in the world, with a diameter of 10 km. 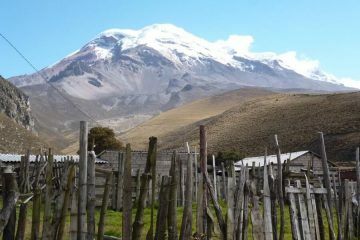 We will continue to Chico volcano, which is a cone of Sierra Negra. 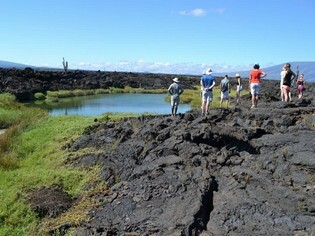 We will walk through moon-like sceneries and have great views all over Fernandina and the north of the island. This gives us an idea of how the islands looked at their creation. 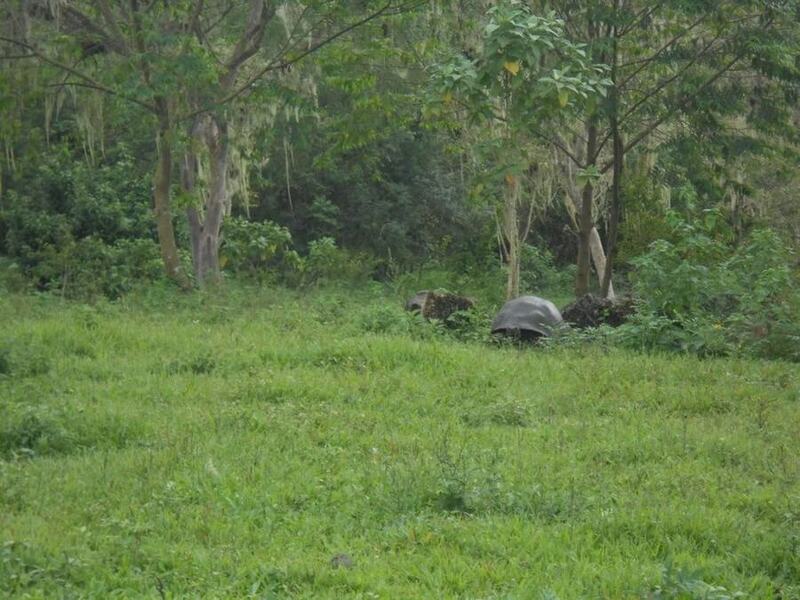 Lunch will be served in a local farm which is also a tortoise reserve. 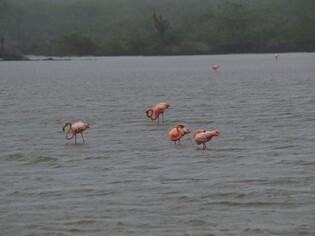 We will be back around 3h30 PM and we will end the day with a nice swim and snorkel at Concha y Perla lagoon. Optioneel, Cabo Rosa Tuneles: If you prefer to take another boat ride, you can take the excursión to Cabo Rosa tunnels. This is an amazing place where the volcano activity created lava tunnels going under and over the sea level. 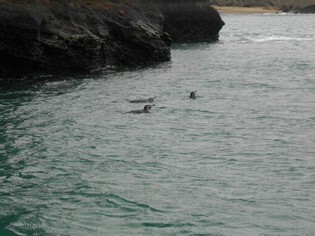 We can spot penguins, blue footed boobies.. and we will have great snorkeling too! Back to port around 2PM, late lunch and then we will wait until around 3h30PM when the rest of the group comes back from the volcano to go and swim/snorkel at Concha y Perla lagoon. This tour will cost 110 US$ p.p. additional. 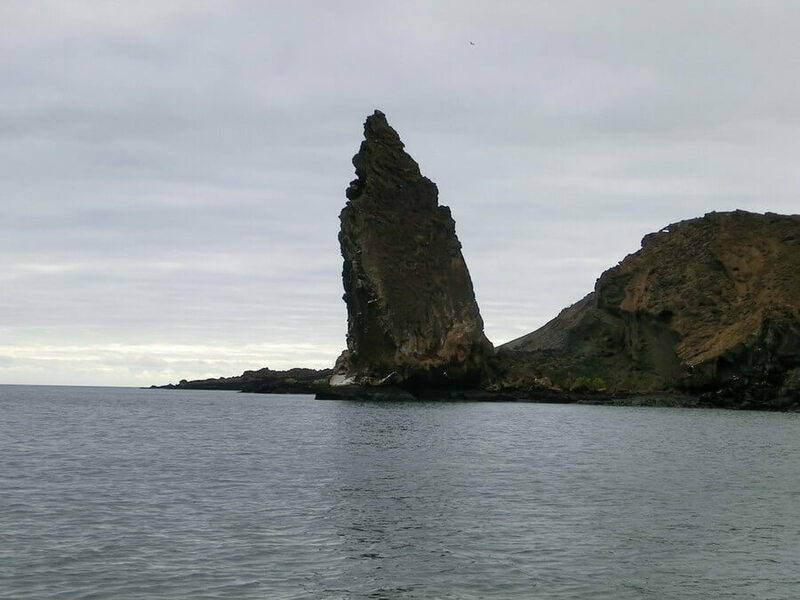 A busy day that start with a visit of Tintoreras Islet near to the port: there we can spot small Galapagos penguins, sea lions, marine iguanas, and sea lions. 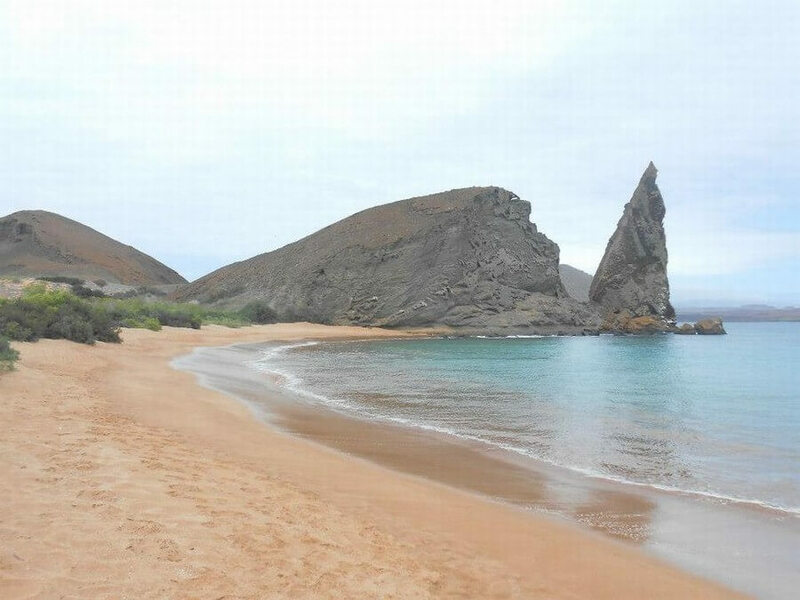 Hiking and snorkeling are scheduled before the continue on to Santa Cruz. Afterwards we will continue on to Santa Cruz (2 hours). At arrival, transfer to the hotel and lunch. 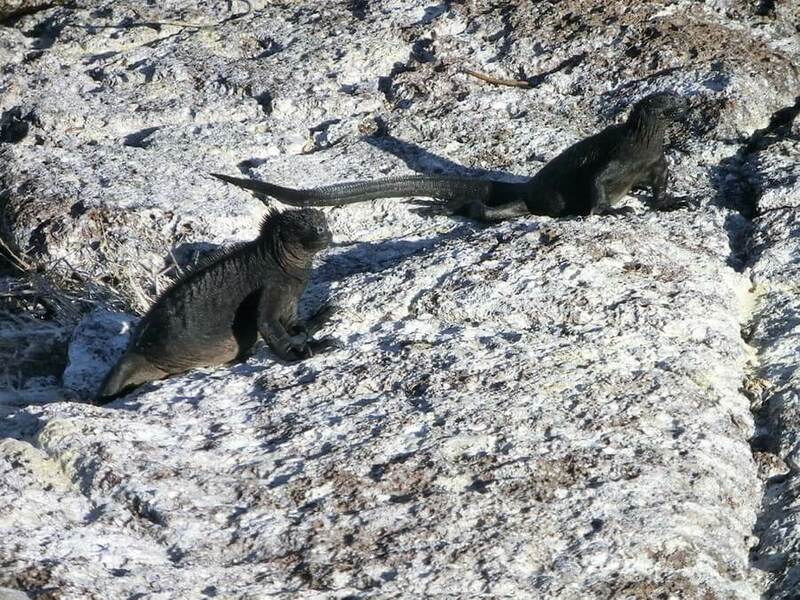 Then we will walk to the Tortuga Bay beach to enjoy a last swim into the Galapagos waters and spot a huge iguana colony. The walk to Tortuga Bay is 3km each way, passing through a giant endemic cactus forest. Day 6: Visit uninhabited islands! 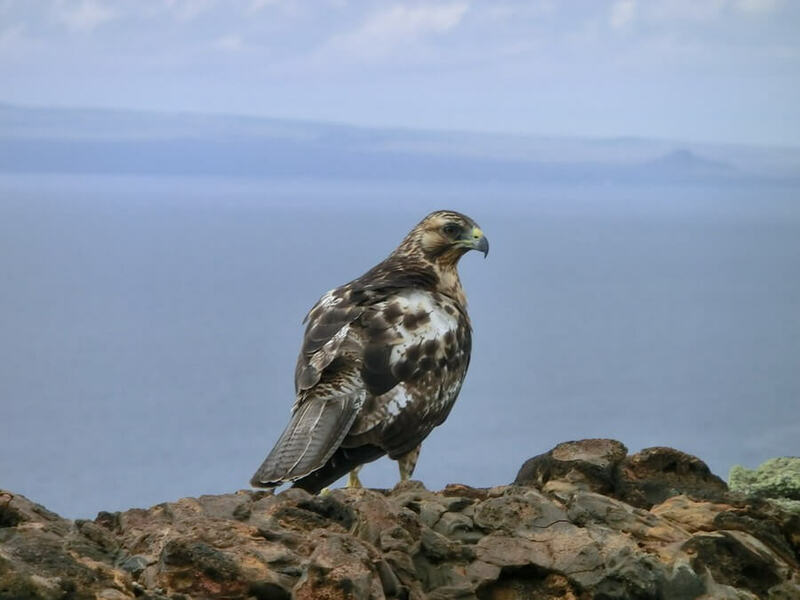 To complete this special 8 days tour, on day 6 and 7 you will visit 2 of the completely uninhabited islands such as Bartolome, Seymour, Plazas or Santa Fe. Each one has its own character and unique species. Note that on these days you will be traveling with different passengers and different guides than you were on the land tour, as those day tours have strict restrictions and just a few boats have the permit to operate these excursions. 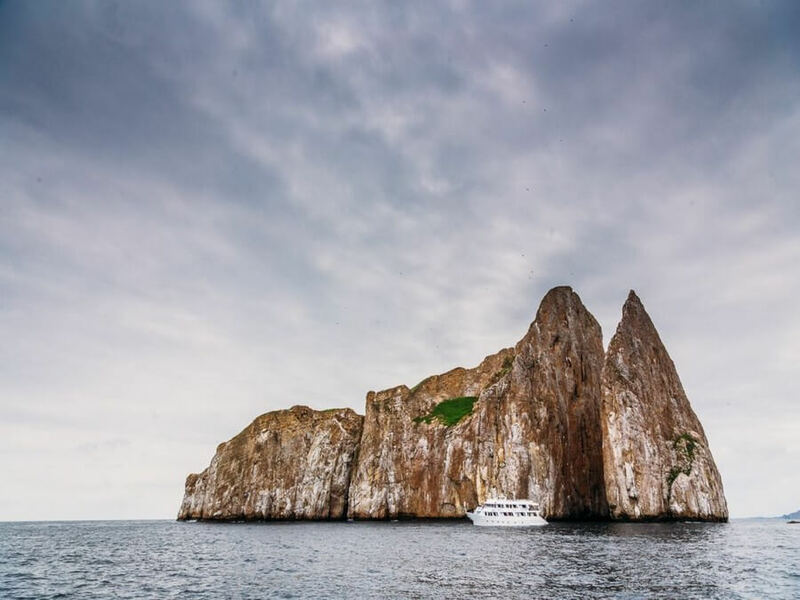 The tour consists in reaching the Itabaca channel by bus ( except for Santa Fe which is south), and then board a yacht to navigate to the island. Hike and snorkel, lunch on board. 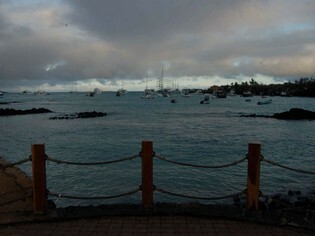 We are usually back at the hotel in Puerto Ayora around 5PM. Difficulty: EASY (except for Bartolome where the hike uphill to the viewpoint is a bit longer than other hikes). 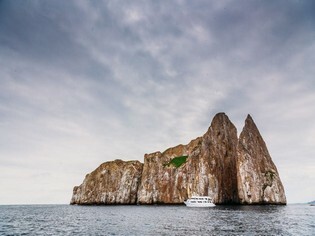 After breakfast we will visit another uninhabited Galapagos Island from the list mentioned above. The tour of today will also include hike and snorkel activities, before traveling back to the port of Puerto Ayora, were we arrive around 5PM. Difficulty: EASY (except, again, Bartolome). After breakfast we will bring you back to the airport on Baltra. 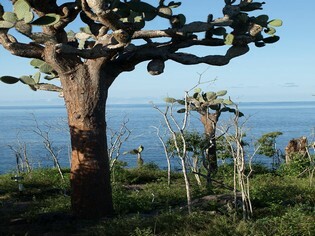 On the way from Puerto Ayora to the airport we make a short stop at a site called los Tuneles. 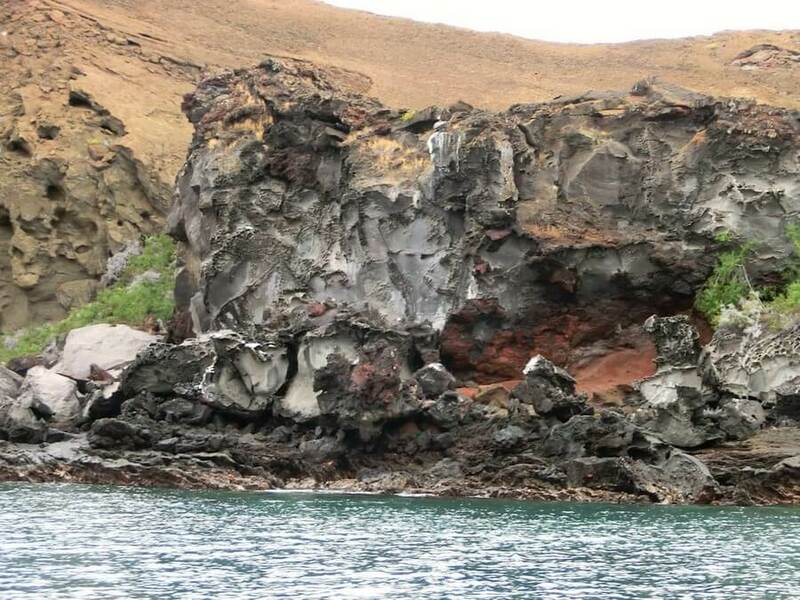 This is a special tunnel shaped by petrified lava. 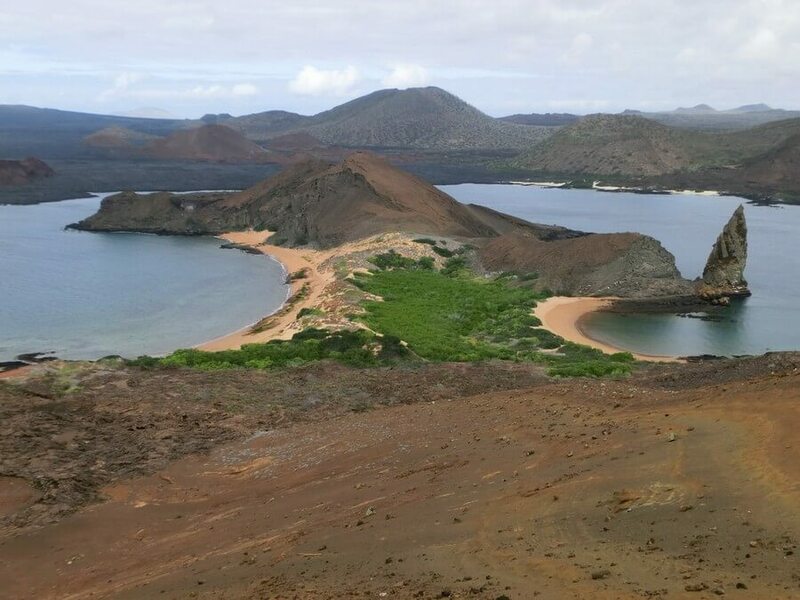 When your plane departs towards the mainland the tour is over, but we guaranty you that you will never forget your time on these amazing islands. Note 1: Due to weather conditions, changing governmental regulations, or other unpredictable situations the itinerary might not always be exact the same as written above. We will always try to keep the changes as minimum as possible and find the best suitable solutions. 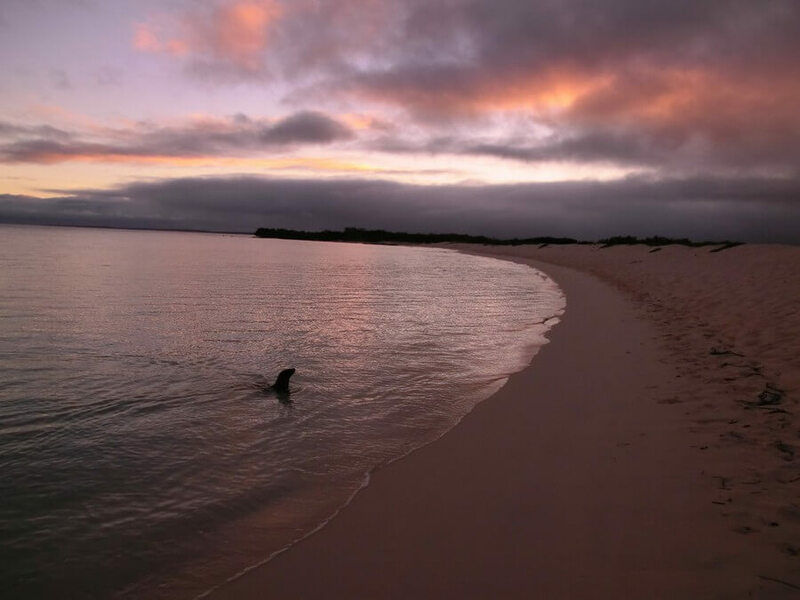 It is optional to extend this tour to go diving, kayaking, biking, relaxing on the beautiful islands or more. When interested, please ask us about the many options. This is a group tour which leaves on fixed dates with a min. of 8 bookings. 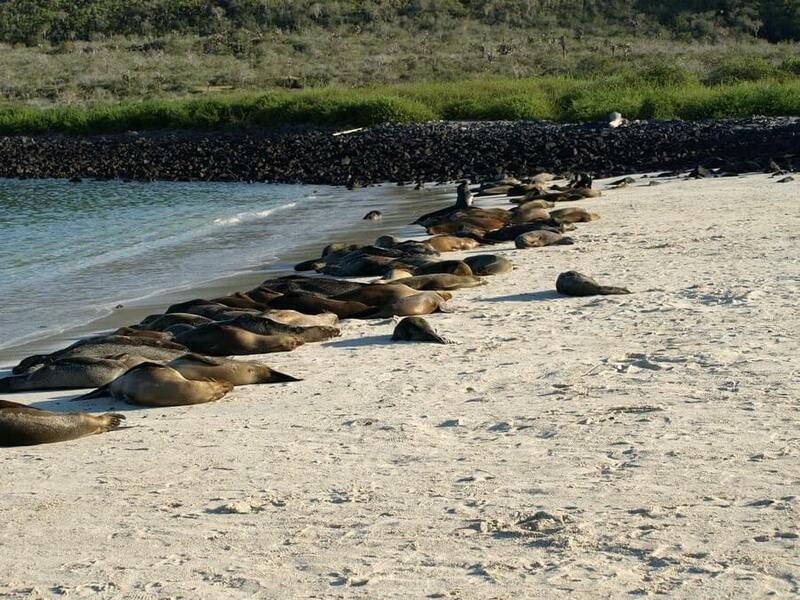 If you are part of a group of 8 persons or more it is possible to organize this tour private for your own group. 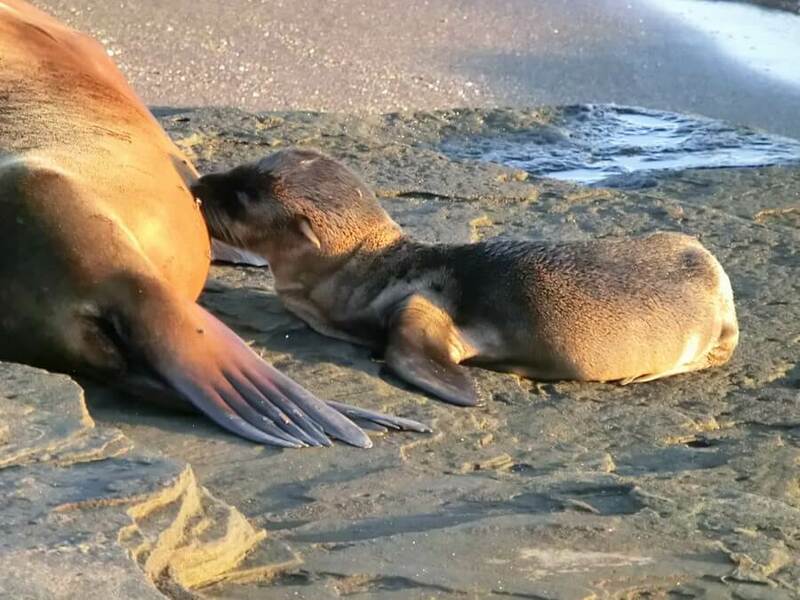 These tours can leave on any day. Feel free to ask more about this possibility and the departure dates for 2013/ 2014. We work with clean tourist class hotels and friendly hostels with hot water, private bathroom. Possible optionsincluding: Casa de Jeimy, La Gran Tortuga, Estrella de Mar, Casa de Laura, Tintoreras, España or similar. Keep in mind that sleeping in a hotel is in general already more comfortable than sleeping on a boat, especially if you book a budget tour. – All transportation in-between and on the islands in boat and bus. Recommendation: If you are usually subject to motion sickness please bring parches or pills (you can also buy pills here). From experience, the parches are really effective!